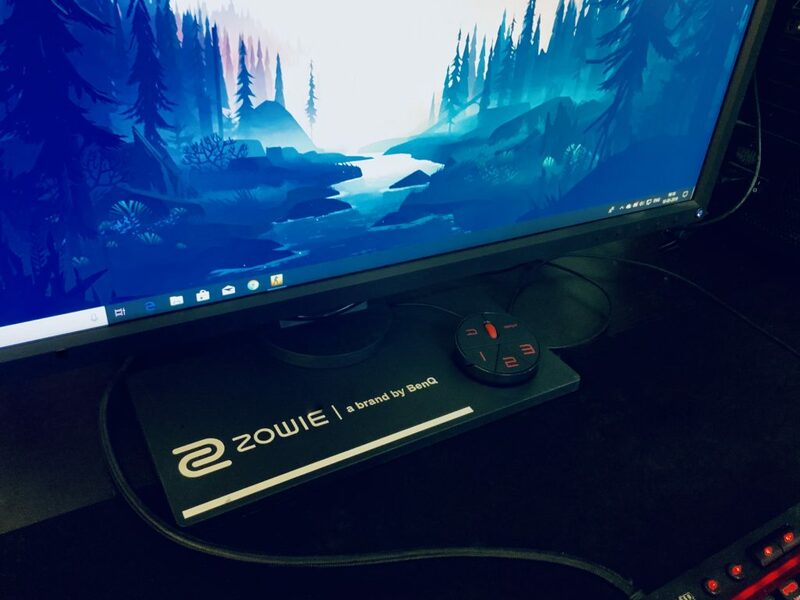 The BenQ Zowie XL2546 Gaming Monitor is highly popular among esports players and competitive events like the PUBG Asia Invitational 2019, eXTREMESLAND CS:GO Tournament 2018, and several others all over the world. What makes it so special? Let’s find out. The BenQ Zowie XL2546 is one of the best esports gaming monitors available. It’s been the official tournament monitor and for many other events too. What is so good about this monitor? Let’s find out! The BenQ Zowie XL2546 is priced at around $500 in the US, and 39,000 INR in India. This monitor is certainly not a budget option, but here’s a guide on the top five budget gaming monitors in India, if you’re looking at more affordable options. This monitor does have a lot going for it for the price it asks for though! The monitor is available through many retailers like Amazon and Newegg in the US.  In India, you’ll be able to buy it through retailers like Amazon India, MDComputers, and PrimeABGB. The BenQ Zowie XL2546 features an TN Panel with a resolution of 1920×1080, and a refresh rate of 240Hz. The response time is 1ms (GtG), the brightness goes upto 320 nits, and the typical contrast ratio is at 1000:1. What makes the monitor stand out from typical monitors is its esports centric features, like its 240Hz Refresh Rate, DyAc, Shields, S-Switch, Black Equalizer, and others. In terms of connectivity, the monitor has 2x HDMI Ports, 1x DVI-DL Port, and a DisplayPort 1.2 Port. Along with this, there’s also a headphone & microphone jack with some USB Ports. Inside the box, you’ll find the monitor itself, pair of shields, the S-Switch, starter guide, the stand, a driver CD, user guide, and a DisplayPort Cable. The BenQ Zowie XL2546’s TN Panel has a 1920×1080 resolution, which is nowhere as nice as an 1440p/2160p IPS or OLED Display which can produce much better color and have higher contrast levels. But here’s the thing – this monitor is meant for esports professionals, nothing else. I’ll say this right off the bat – if you’re into photo/video editing, or any work that’s sensitive to panel quality, then this monitor is NOT for you. Even if you mostly play AAA titles, a 120Hz IPS Gaming Monitor would suit you better. But if you’re going to be playing a lot of competitive titles and take esports seriously, this monitor will definitely suit you. The panel has incredibly low input lag and will certainly give you an edge over traditional 60Hz or even 120Hz Monitors. The BenQ Zowie XL2546 Monitor has tons of esports centric features that really do help. 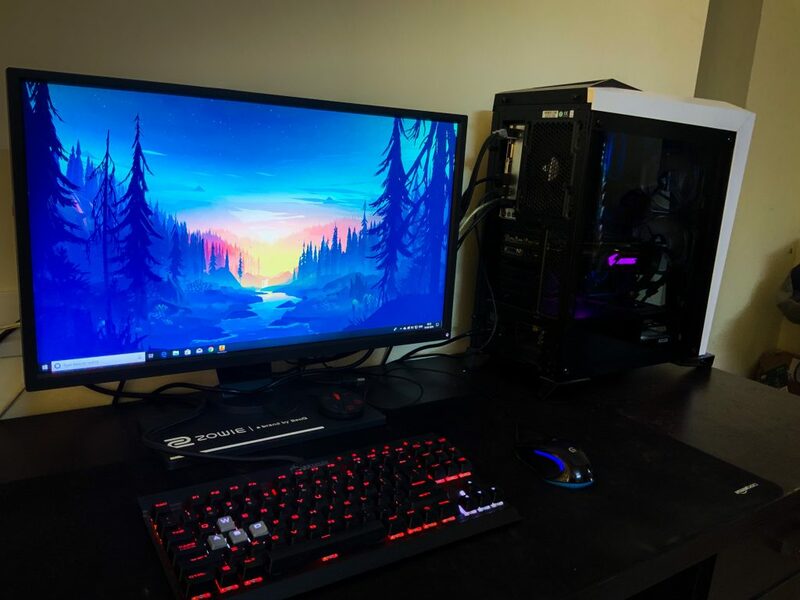 Starting out with the 240Hz Refresh Rate, it essentially means that the image on your screen will refresh 240 times per second instead of 60, 120 or 144 times per second on most traditional and gaming monitors. Is it a difference compared to 120Hz or 144Hz Monitors? Sure, it is noticeable but not to the same degree compared to going from 60Hz to 120Hz. But of course, every small bit counts when you’re playing professionally. You do need a good mid-range GPU like the GTX 1660 Ti or RTX 2060 to pull off 240FPS and truly take advantage of this high refresh rate. 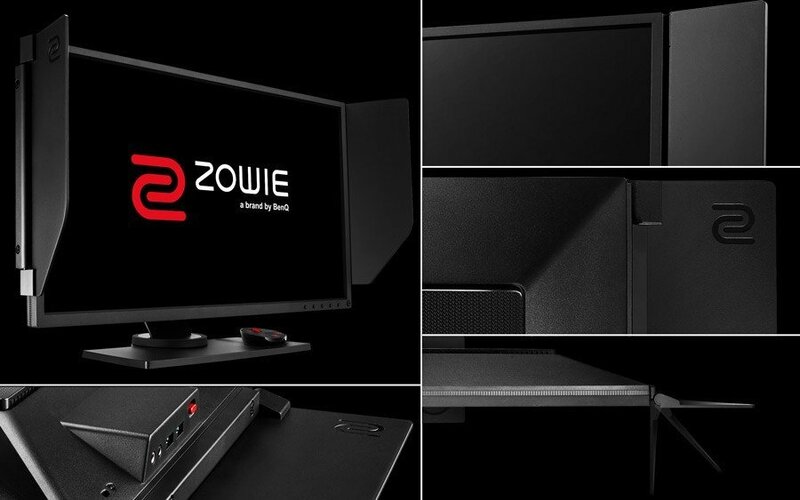 Dynamic Accuracy (DyAc) is ZOWIE’s exclusive technology that’s supposed to maintain image clarity during intense moments. Does it help? Yes, it’s not a gimmick at all. Spraying felt noticeably easier and my accuracy felt better even during spraying an AK-47 in CS:GO, which by the way has a spray pattern that’s hard to master. Black eQualizer is basically used for increasing visibility in darker spots. This was actually very useful in CS:GO, where I could spot people in Dust 2’s dark tunnels, the suicide spot, and the pit. The monitor also has a color vibrance setting that essentially makes the game more colorful, making it easier for enemies to stand out. And during those longer gaming hours, you can use the low blue-light feature to make things easier on your eyes. While it is possible to induce some of these features through software on other monitors, the XL2546 does makes it all much more convenient and consistent to use. The BenQ Zowie XL2546 doesn’t have flashy RGB Lights or anything, but it does have sleek aesthetics with a black-red theme going on. It looks nice and has the BenQ & Zowie logos at the back, with some cable management options and of course the I/O. The monitor has an height adjustable stand and switchable viewing angles, which is also surprisingly easy to adjust. The included S-Switch attaches to the bottom and is helpful for switching between three profiles and menu settings. So, you could use it for having a profile for competitive esports, another for watching movies or other entertainment, and another for training with low blue-light. Really convenient! The monitor has a pair of shields included in the box, which you can attach to both sides. This won’t be very useful at your home, but imagine if you’re playing at an competitive event – with lots of distractions like the crowd. In those scenarios, especially at esports tournaments, these shields will surely help. 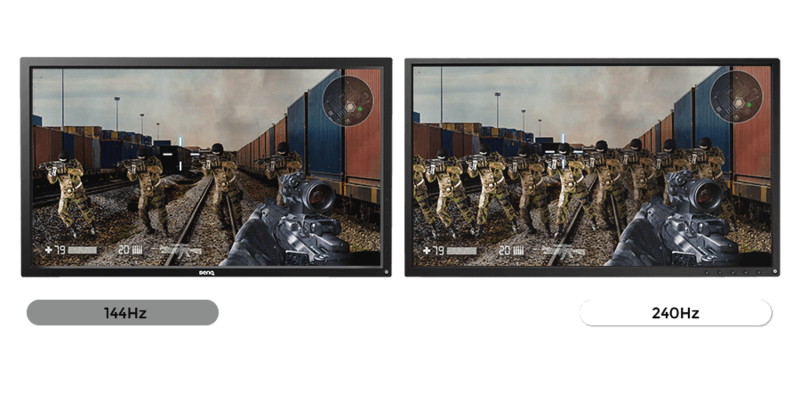 The frame of this monitor is also differently designed to reduce bleeding and reflections. The BenQ Zowie XL2546 can be described at esports perfection. They surely thought a lot about esports athletes and their needs when making this monitor, so if you need a great monitor for competitive esports - this is it. Panel quality is adequate, but not good for anything besides competitive gaming.